As November 2013 finally drew to a close; Wives, Spouses, Partners,Girl Friends, Families, Work mates and perhaps even the family pet, all breathed a sigh of relief. Their "Mo Bro" was finally going to shave off the Moustache that had been gradually invading his upper lip for a month. Yep; it was Movember. 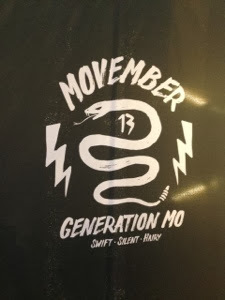 Movember (a play on the word November) is a global charity where each year on the 11th month, lads around the world get together and grow a Moustache (Mo for short). This must be sustained for the entire month and grooming is of course encouraged. It is a charity that supports Men's mental health, Prostate and Testicular Cancer. 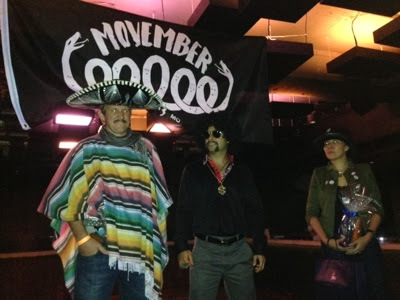 For their efforts, donations can be collected from friends and family, no matter how cringe worthy the Mo looks! It is a great cause. I've been a long time observer, but this year became a first time participant. Another two Mo Bros also joined in; plus one Mo Sista, making us a team of 4. Being Singapore based we joined the ranks of the Singapore participants. 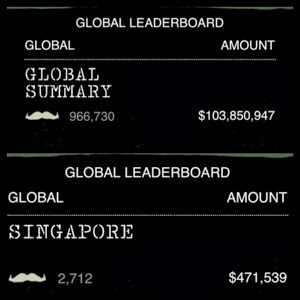 Great Global effort and well done to the 2,712 members of Team Singapore! 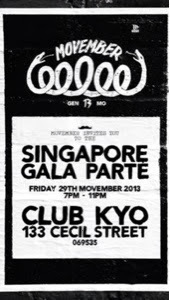 On the 29th of November, all the Mo Bros in Singapore got together for a Gala Parte at Club Kyo; on Cecil Street, Singapore. 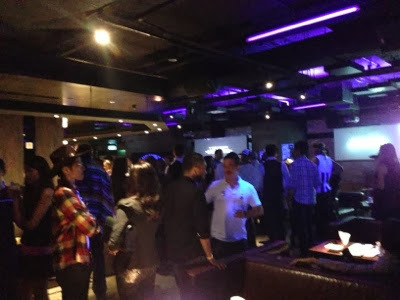 It was great to see so many Mo Bros and Mo Sistas attend the parte and celebrate our achievements. 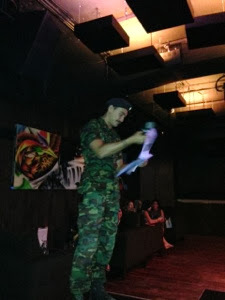 There were drinks specials with all proceeds going to the Movember cause. I was very happy about this as it kept the donations coming in. The mixes were Gin or Rum based. 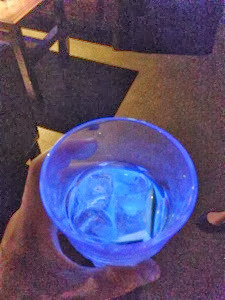 It was a bit dark to take pictures but I love how my Gin glows! So far, the lads and I are talking about doing Movember again in 2014. We'll definitely try and recruit more to the cause and it was fun seeing how our Mo would turn out by the end of the month. We also picked up some bad habits like stroking our Mo during conversations, meetings, well everywhere! Did your fella take part in Movember this year? How did it go?